Many times when we’re determining what weaponry would best suit our needs, we focus on the primary and overlook the secondary (or backup) firearm. Today I’d like to delve into the realm of some of the tried and true secondary 9mm firearms available. The 9mm pistol provides many desirable qualities to look for in a backup weapon: they are compact, accurate, user friendly and have readily available ammo. As we’ve said before, a firearm is only useful if you can find ammo and maintain it without too much trouble. Unless you’re into just having a blunt object to whack things with, in which case I’d recommend getting an 18” Eastwing Milled face hammer rather than some .50 caliber cannon you’ll never be able to find shells for. Then you’ll be ready to go from the get go with the proper tool for the job. Now then, back to the 9mm. Let’s take a gander at some fine pistols to kill zombies with, shall we? Where to begin? 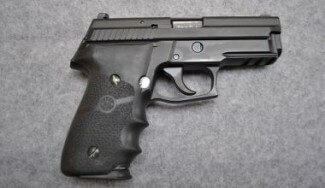 They say that good things come in small packages and the P229 is no exception. 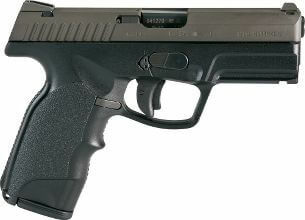 This pistol is one of my personal favorites at the range. It’s also what many U.S. frontline agencies like the Coast Guard and Homeland Security employ on a daily basis. It’s durable. It’s accurate. It has a 13 round capacity (in the M11-A1 model). It has corrosion resistant coatings inside and out (remember the Coast Guard uses this thing) making it capable of withstanding the most rugged of conditions. The 9mm provides a nice combination of knock-down potential without too much recoil, not to mention smooth shooting provided by the excellent weight and balance of the P229. 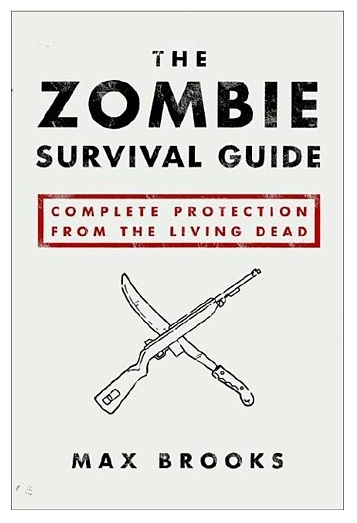 This might just be a zombie slayers best friend! 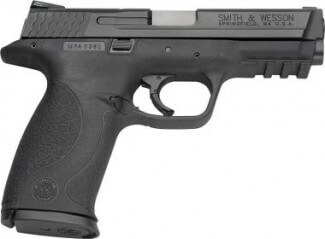 S&W had law enforcement and military personnel in mind when they designed this smooth shooting classic pistol. The rugged design and composite construction make this a beast of a durable, dependable zombie thrasher. It comes standard with a green fiber optic front sight but also has the capability to be retro-fitted with a more robust scope targeting system. This baby will hold a whopping 17 in the clip and 1 in the chamber!! As a wise man once said “I just don’t wanna get killed for a lack of shooting back”. Well friend, the M&P 9mm is the sidearm for you. Glock pistols revolutionized the world of firearms by utilizing lightweight and durable composite components to reduce weight without sacrificing performance. 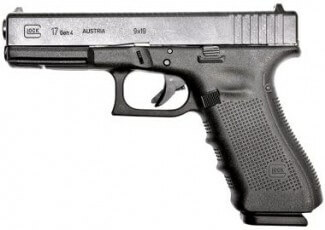 The latest iteration of the Glock family is their G4 line. The line offers many options you’ll only find in a Glock. Each pistol comes with 3 sets of interchangeable grips, to allow an individual to customize the fit for their hand unlike any other pistol on the market. Comfort is an important aspect of accuracy and it shouldn’t be overlooked when selecting a sidearm. In addition to the consistent performance and fit of Glock pistols, you also get excellent magazine capacities (17 in the clip, 1 in the chamber) as well as durability. In the Gen 4, Glock has replaced the original recoil spring with a dual function recoil spring which not only reduces the kick of the pistol, but also extends the life (and reduces the required maintenance) of the entire housing. This is an adaptable, lighter weight workhorse of a firearm that would make an excellent choice for shooters of all shapes and sizes to really shred some dead Zeds! Steyr Mannlicher has been making pistols since 1912, and this new addition is a great one. The M-A1 9mm brings a fantastic fitting ergonomic design to a rugged and dependable frame. The lightweight composite construction and Picatinny rail in the front mounts allow for a truly adaptable and customizable sidearm. The M-A1 comes standard with white outlined rectangular sights, but you can easily add an after-market laser sight or tactical flashlight to this piece without drastically weighing yourself down, or sacrificing accuracy. I like the ease of maintainability on the composite pieces of the M-A1. This pistol is user friendly, has relatively few moving parts to maintain, while also accurately and consistently sending rounds downrange in just about any conditions. All this reviewing has gotten my trigger finger itching, so I’m off to the firing range. 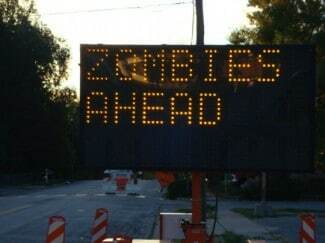 I suggest you do the same because: when the zombie apocalypse happens, the life you save may be your own. Do you have any 9mm pistol recommendations? We want to hear it! Tell us in the comments below. What about the Beretta 92FS? It is a solid, accurate, powerful hundgun.